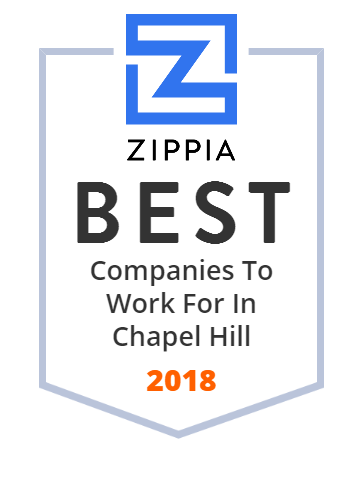 We hand-curated a list of the best companies to work for headquartered in and around Chapel Hill, NC using data on salaries, company financial health, and employee diversity. Resolute Building Company was founded in 1984 in Chapel Hill, North Carolina with the conscious intent of serving as a regional commercial General Contractor. RESOLUTE's mission is to safely deliver exceptional value, construction excellence, and superior service, while always putting the customer first. Take your climbing to the next level with Chapel Hill's only bouldering gym and fitness facility. Investors Title has built its business and reputation on responsiveness and efficiency, a deep knowledge of the real estate industry, and long-lasting relationships with its partners and customers. What they do, they do well: residential and commercial title insurance and innovative business solutions for their partners. The courses of Youth Digital serve as a simple, easy to follow, but in-depth introduction to what it means to be an App Designer or Java Developer. Maybe you just want to support your child's passion for technology. When you take a Youth Digital course our goal is to open the world of possibilities that is available to those who can create with technology. Chapel Hill is a town in Orange and Durham counties in the US state of North Carolina. Its population was 57,233 in the 2010 census, making Chapel Hill the 15th-largest city in the state. Chapel Hill, Durham, and the state capital, Raleigh, make up the corners of the Research Triangle officially the Raleigh-Durham-Chapel Hill combined statistical area. Cempra, Inc., a clinical-stage pharmaceutical company, focuses on developing anti-infectives for the acute care and community settings to meet critical medical needs in the treatment of infectious diseases in North America. Its lead product candidate is solithromycin, which is in Phase III clinical trials developed in oral capsules, intravenous, and suspension formulations for the treatment of community-acquired bacterial pneumonia in adults and children, as well as for ophthalmic infections and other indications. The company is also developing fusidic acid, an antibiotic, which is in Phase III clinical trials for the treatment of acute bacterial skin and skin structure infections. In addition, it is developing other uses for solithromycin and fusidic acid, as well as analogs from its macrolide platform for non-infectious disease programs; and macrolides for treating diabetic gastroparesis and gastroesophageal reflux disease. It has a collaborative research and development and license agreement with Optimer Pharmaceuticals, Inc. The company was formerly known as Cempra Holdings, LLC and changed its name to Cempra, Inc. in February 2012. Cempra, Inc. was founded in 2005 and is headquartered in Chapel Hill, North Carolina. Award-winning phone triage and call support software for call centers and practices. Use Schmitt Thompson protocols or create your own.